A Coalition of youth groups in Central Plateau State says despite scarcity of funds, the Gov. Simon Lalong administration in the state has justified the support it received from citizens during the 2015 General elections. The administration had it 'tough' from inception but still "assiduously to see that Plateau State has been truly rescued from the shackles that had held it captive," Comrade Kamji Bagas, Chairman of the youth coalition said, Saturday. 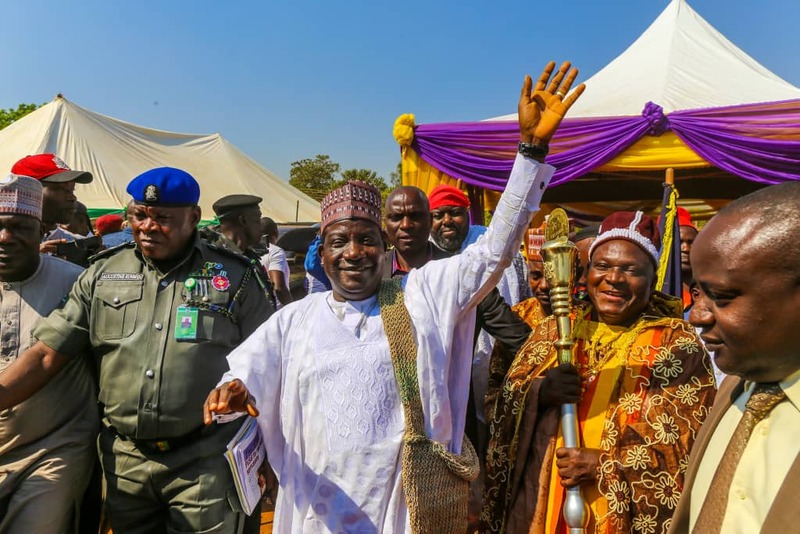 He listed some of the 'notable' achievements of the Lalong-Tyoden administration to include "The restoration and creation of Chiefdoms for the extension of good governance to the grassroots and the promotion of unity. "The appointment of sons and daughters of Plateau central zone into key positions in government. Today, the zone has the highest number of appointees amongst the 3 zones of the state. "Restoring permanent peace in the State, some of which includes the creation of the Plateau State Peace Building Agency, establishment of an early warning signals under the watch of Operation Rainbow, establishment of additional security outfits ( Mobile barracks in Shandam and Gashish, Search and Rescue Airforce Barracks in Kerang), constitution of a Committee on the return of displaced persons from the crisis to their ancestral homes, reform of the Justice law in the state inline with contemporary happenings etc. "The massive employment witnessed in the different ministries, departments and agencies. i.e recruitment of One thousand (1000) teachers under the Teachers Services Commission (TSC), 4600 staff for State Universal Basic education (SUBEB), Over 200 employed Plateau State Internal Revenue Service (PSIRS), 45 in ministry of housing, Reinstatement of about 100 sacked Staff in PRTVC by the last administration and 300 in Lands and Survey amongst many other unmentioned. "Completion of abandoned projects prominent including the completion of Plateau State Secretarial Junction flyover, British American - Marraraban Jama’a Road, Tudu Wada/Domkat Bali Road, State Lowcost/ Dong/ Rakafiki Road, Plateau Specialist Hospital By-pass, Anguwan Rogo road, Tina Junction - Dutse uku- St Michael Church etc. "The construction of twenty two (22) rural roads in all the 17 local government of the State to open up new areas to development as well as ease movements in our communities. "Timely payment of salaries, pensions, gratitude and offsetting of the backlog of salaries owed by the immediate past administration which has increased the economic power of Civil Seril Servants. "The diversification of The Plateau economy via agriculture i.e. the purchase of Tractors, revamping of the fertilizer blending plant in partnership with private organization and the increased funding of agricultural related activities. "The revival of youth activities in the state after being outlawed and disbanded by the past administration over a decade ago. This has led to the conduct of Plateau Youth council elections across every district in Plateau. "Sustaining cordial relationship amongst all arms and tires of government by upholding democracy and ensuring the independence of each segment of government. "Attraction of federal projects e.g. the Mangu Water project, Chigong/ Garram road, Sharram Babban Lamba road Abuja/Jos dual carriage, Jos inland dry port, the federal polytechnic Shendam, the air force military base at Kerang/Mangu, police mobile unit at Shendam, Police mobile unit at Gashish District etc. "Facilitated the Appointment of many Plateau sons and daughters into boards of federal parastatals and agencies. "The reactivation of some moribund industries in the state and restoration of Jos International Trade fair, Jos carnival etc." Mr. Bagas therefore said the group will not only mobilized youths, but also "women, elders, men and all eligible voters in Plateau Central zone to garner not less than 750,000 votes for the actuation of Rescue Mission Administration continuity in office come 2019."